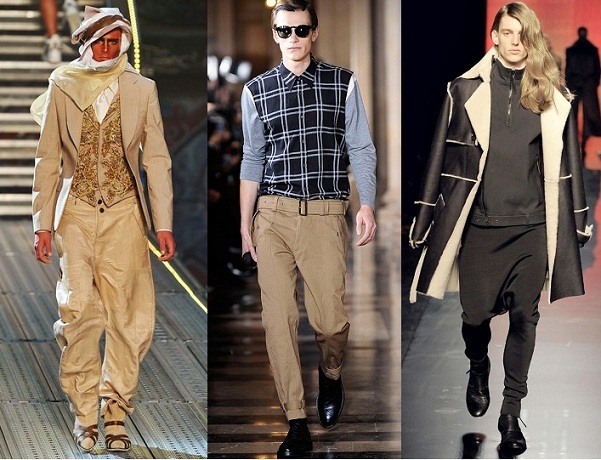 Home » Article » Fashion » IN MY OPINION: Harem, Aladdin & Carrot Pants? IN MY OPINION: Harem, Aladdin & Carrot Pants? "Harem pants or harem trousers, also known as parachute pants, are women's baggy long pants tapered at the ankle, with side flaps on the hip that button at the waist area. Harem pants, which originated in India, are like a cross between a skirt and a pair of skinny jeans. The legs, from the knees down, are fitted. The crotch area is loose and baggy as if it were cut to be a skirt. Traditional harem pants can be extremely large and baggy, with a very wide and full fit, very roomy, loose fitting, over-sized, puffy and spacious with elastic in waist and at ankles, and with the crotch below the knee almost to the ground. 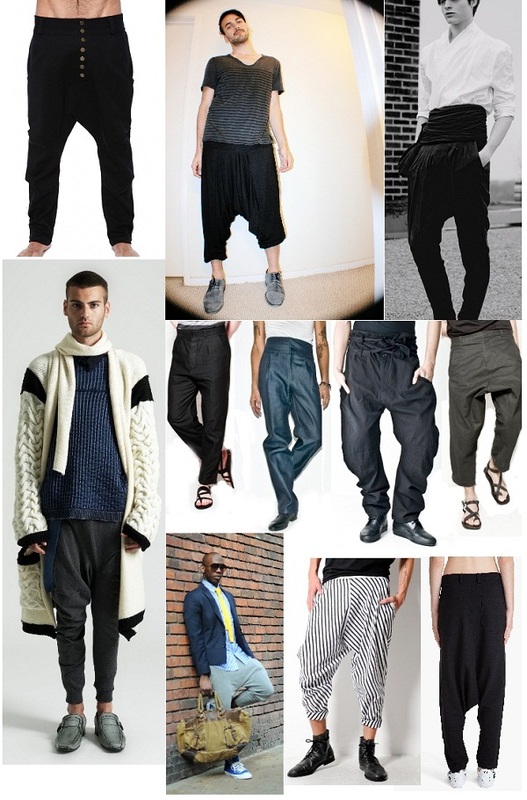 Harem pants are commonly worn with a Greta pleated skirt - a short skirt that covers the top portion of the harem pants. Both harem pants and pleated skirts are commonly used in belly dancing. There are resources that show various forms of pleated skirts and explain how they are created. That is the definition of Harem Pants, in my opinion the fastest way to find out that it is Harem Pants or not, it has a kind of membrane between the thighs, they are loose, and I don’t know how to call it, let’s say that is membrane hahaha or you can say Drop Crotch. Harems Pants maybe inspired by Aladdin Pants which is tight in waist and ankle but very loose as long as legs but Aladdin Pants have no membrane between the thighs. Also with the carrot pants, based on many sources, the definition of Carrot pants – carrot pants are named because of their carrot-like shape style. They are wide at the hips and tapered at the ankles. These pants are set to be more popular than harem pants. I put IN MY OPINION first because sometime people are confused with these labels; Harem, Aladdin and Carrot Pants but I thought that others people have their own perspective. 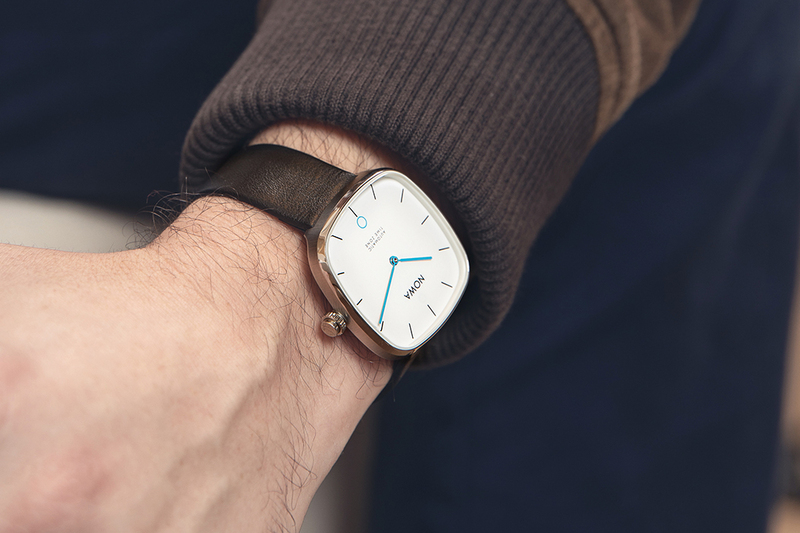 Nowadays so many designers combine them all for the most innovative model. But the basic is Harem with its membrane, Aladdin with tight hips and ankle with no membrane, and Carrot with wide thighs with no membrane. If I have to choose one of this, I put my heart to Carrot Pants, because it’s close with basic pants, kind of cotton fabric Carrot pants with folds in hips area. For men Harem, it is best way to get them in denim, mens jeans are best for this Harem (one of the best I saw in the article “50 the Most Stylish New Yorkers”), and for Aladdin Pants, I suggest you to more loose with cotton tee or viscose fabric. or what are you? Harem, Carrot, Aladdin or even mixed?? ?